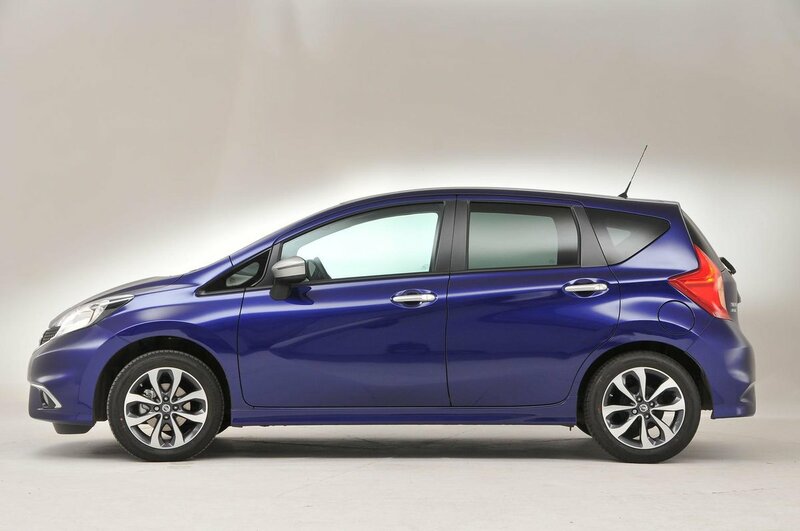 Nissan Note Interior, Sat Nav, Dashboard | What Car? 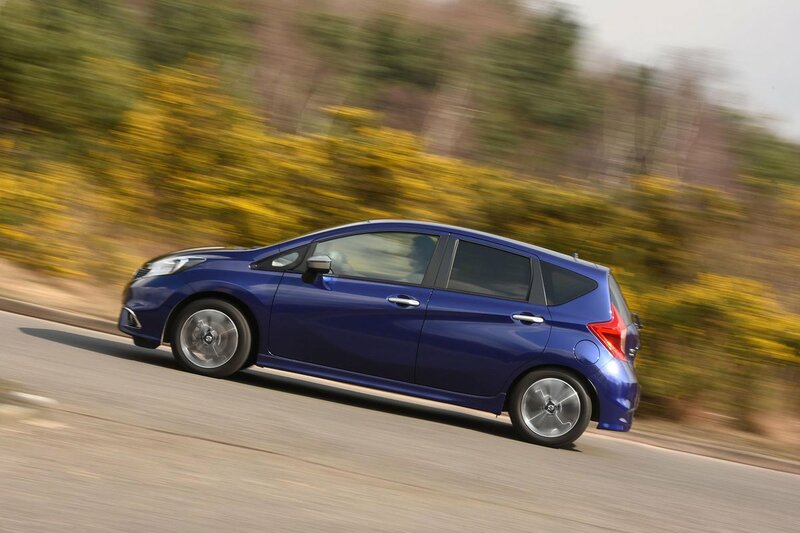 The Note’s driving position is fundamentally good. It’s slightly raised, which some drivers may find comfortable. The entry-level Visia version misses out on the seat-height adjustment that’s standard higher up the range and it’s a shame that only the top two trims come with a front centre armrest. Whichever version you choose, there’s no proper rest for your left foot and, worse, the steering wheel adjusts only for height but not reach. The dashboard is sensibly arranged and everything is easy to reach. It’s generally clear, too, but the circular design and black-on-black colour scheme used for the heating controls can make them tricky to read at a glance. 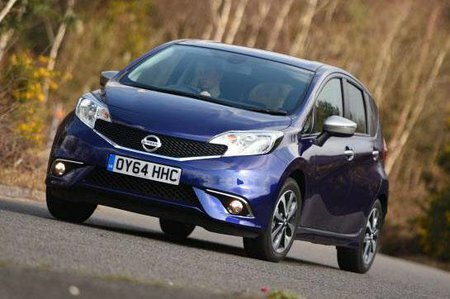 The Note’s slightly raised driving position and comparatively deep windows give generally good all-round visibility, aided by door mirrors that are usefully large. Only the rather chunky front pillars spoil things by restricting your view a little at junctions or in corners. The entry-level version has electrically adjustable door mirrors but those on the rest of the range are heated, too. Automatic headlights and wipers are reserved for higher-spec models, as is Nissan’s brilliant Around View Monitor. This gives a bird’s-eye view of the car on a central display screen and is a godsend in tight parking spaces. A rear-view camera and blind-spot warning system are also fitted to pricier models. These features are also available as options on the mid-range version but are not available at all on cheaper Notes. Nissan offers some excellent technology features with the Note. Even the entry-level model comes with USB and auxiliary input sockets, as well as Bluetooth; impressive at this level and better than some of the competition. You need to upgrade to the mid-spec Acenta version to gain steering wheel-mounted stereo controls. All versions above this come with NissanConnect. This incorporates a sat-nav, and digital and internet radio, as well as giving access to a range of apps, via a 5.8-inch colour touchscreen. In all, it’s a very competitive package. Whichever version you choose, the tech on offer is very ease to use with big, bold displays and simple controls. They might not be the last word in style or sophistication, but they’re fuss-free and everything is logically placed. The only option is a digital radio converter for lower-spec versions. The Note’s cabin feels built to deal with family life. It’s solid throughout, and the materials feel like they’ll stand the test of time. It’s pretty drab, however, with little in the way of soft-touch plastics or design flair. The controls have a robust feel but, again, they have no real ‘wow’ factor.